Dash Cam Footage Shows Police Plotting To Kill Dog Before They Shot Her 15 Times. WARNING, this is extremely disturbing… Especially to animal lovers. 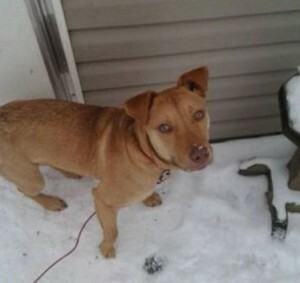 The dog, whose name was Lexie, was under the care of the owner’s grandfather while Brittany Preston was at work. Brittany Preston, the owner of the dog, has now filed a lawsuit against the city for the dog’s death. 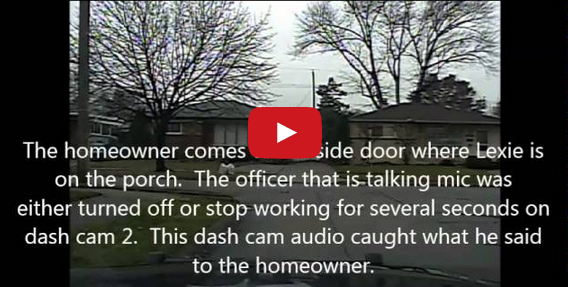 Released dash cam video shows the entire horrifying incident that happened late last year. Police received a call that a neighborhood dog was causing a disturbance, and when they arrived at the home of the dog, the officers immediately admitted they planned to shoot it. “We filed a complaint in federal court alleging that the police violated our fourth amendment rights against unreasonable seizure of the dog, in this case killing it, and we are asking for money damages and ultimately, also what we’ve already asked for, was for police to train their officers so that there is not another incident where they responded to a barking dog complaint by killing it,” Olson said. The officers claimed that Lexie was trying to attack them, but it’s clear when listening to the dash cam video that Lexie was doing nothing other than parking. Preston’s grandfather suffers from dementia, and when officers tried to get information about the dog from him, he was clearly confused and disoriented. Not long after arriving at the home, the two officers shot and killed Lexie. Reports say that Lexie had 15 entry and exit wounds, which means the officers shot the dog multiple times.